Tim Cook is the partner-in-charge of Katz, Sapper & Miller's State and Local Tax Practice. He joined the firm in 2003. 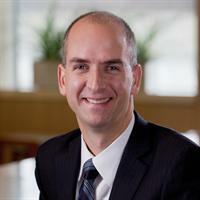 Previously, Tim spent seven years at Ernst & Young as the Indiana leader of business incentives and controversy services as well as area leader of unclaimed property services. Prior to that assignment, Tim worked for five years at the Indiana Department of Revenue, where he last served as Legal Counsel on Policy and Legislation. Tim supervises and coordinates all state and local tax consulting services, including business incentives and site selection services, multi-state taxes, unclaimed property, and controversy services. Tim’s professional background includes assisting companies with complex business restructurings, negotiating settlements at both the audit and appeals level for numerous tax types, assisting companies during the site selection process to identify and secure state and local incentives, and numerous other state and local tax services. He has experience with several industries, including manufacturing, warehousing and distribution, life sciences, financial institutions, insurance, retail, restaurants, healthcare, transportation, and high tech companies. Tim received a Bachelor of Science degree from Indiana University and a Doctor of Jurisprudence degree from the Indiana University School of Law. Tim is a member of the Indiana Manufacturers Association’s Tax Committee, the Indiana Chamber of Commerce’s Tax Committee, and the Greater Indianapolis Chamber of Commerce’s Fiscal Policy Committee.